Is Your Web-Based System secure? We use 128bit SSL encryption to ensure security and privacy of your data. Our servers are protected by a firewall and other security measures to prohibit unauthorized access. Does Medgen EHR have the required certifications? Medgen EHR is certified by Drummond Group as well as Meaningful Use compliant. 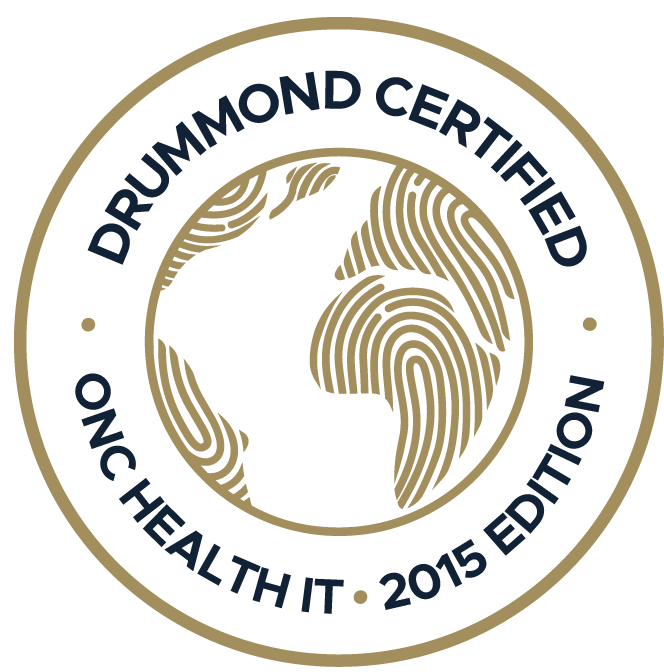 Drummond Group has now been named by the Office of the National Coordinator for Healthcare Information Technology (ONC) as a certifying body, and Medgen EHR has received Certification by Drummond Group as a full ambulatory EHR. Certification ensures that EHRs can perform the functions called for in the standards and certification criteria final rule that ONC released. How will eligible professionals prove EHR usage? Providers will be directed to a link on the CMS website where they will register their EHR usage. Medicare and Medicaid providers can prepare for Stimulus incentives to obtain an NPI number. They must register in the National Plan and Provider Enumeration System (NPPES). Go to https://nppes.cms.hhs.gov/NPPES/Welcome.do for an explanation on NPPES and instructions for registering. Skip this step if you already have an NPI. If you are a Medicare provider and have an existing NPI, you can then go to https://pecos.cms.hhs.gov to register with PECOS (Provider Enrolment Chain and Ownership System), if you have not done so already. Only Medicare providers must register with PECOS. Medicaid providers need not register. Medgen runs on most popular web browsers including Internet Explorer, Firefox, Chrome, and Safari. Many options for your billing needs. Designed specifically for the needs of substance abuse treatment centers. Comtron's offices are located in Great Neck, New York. For information about any of our products please call our sales department at the number listed below and we will be glad to assist you. © COPYRIGHT 2015 COMTRON CORP.